Julius Meinl Inspresso – the same distinctive coffee quality, in perfectly dosed amounts in single serve portions. The unique capsule design & functionality brings out the best of our blends. High quality standards guarantee excellent taste, full body and a perfect crema for your coffee. This unique 100% Arabica blend tells stories from Brazil and Columbia. A genuine epic tale of the bean's origins. 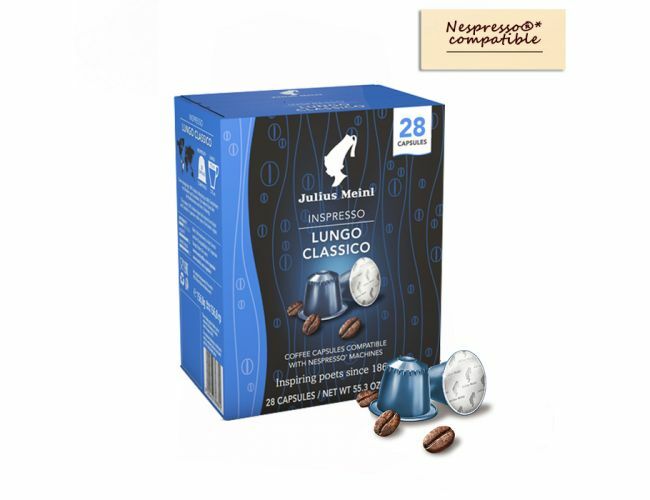 Julius Meinl capsules are compatible with Nespresso®* machines. *This trademark belongs to a third party which is unrelated and not associated with the Julius Meinl Group and Meinl Internet Commerce GmbH.